Time for another gem found during my recent brief visit to Paris (see the previous France visit posts here, and here). 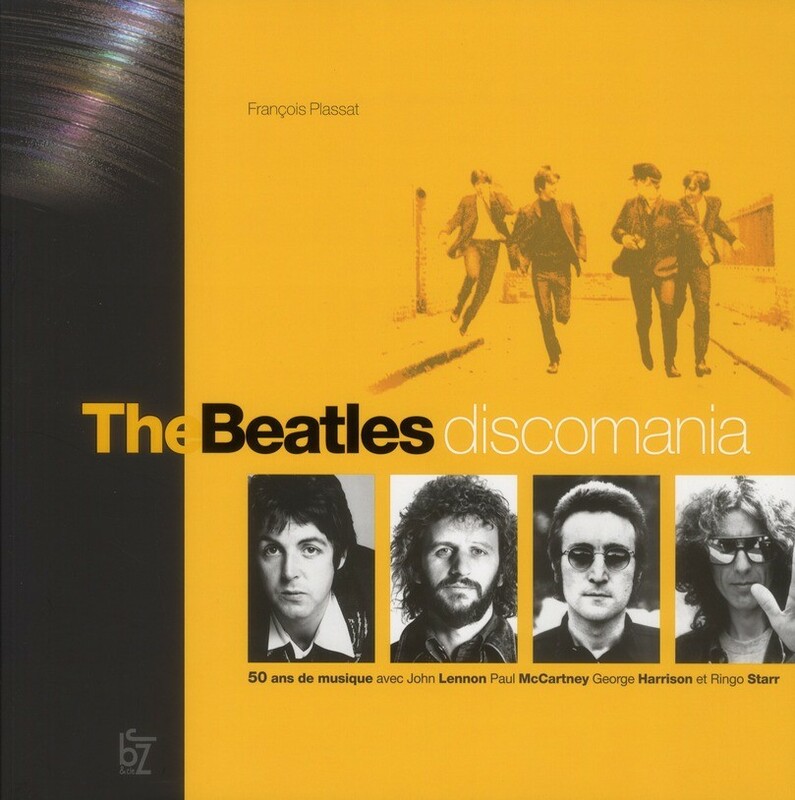 “The Beatles Discomania” is a fantastic career-spanning summary of the Beatles output as a band and also as solo artists. It brings the story right up to the end of 2011 with details of the John Lennon Signature box set and his other re-issues, the Paul McCartney “Archive” series gets a mention, Ringo’s “Y Not”, and the George Harrison documentary “Living in the Material World“. 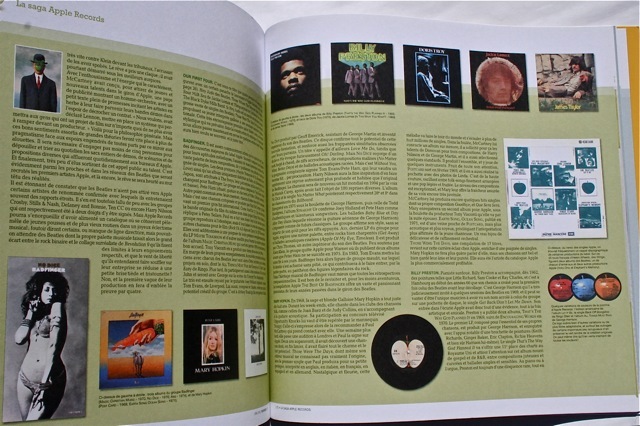 As you can see in the images below this is a lavishly illustrated with extensive album cover images and memorabilia spanning a wide range of releases. It is a very attractive book to own – even though I don’t speak French! It turns that François Plassat works in graphic design and it shows as the text and image layout throughout this book is excellent. He created an agency called China Night which he led for more than twenty years . 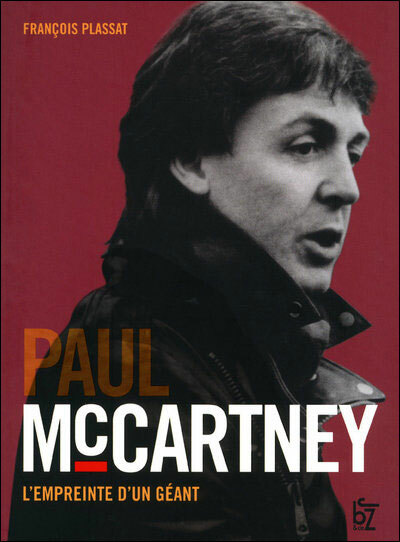 After writing a book about Paul McCartney (released in October 2010 – see below), Plassat’s most recent work “The Beatles Discomania” is about fifty years of the Beatles releases. 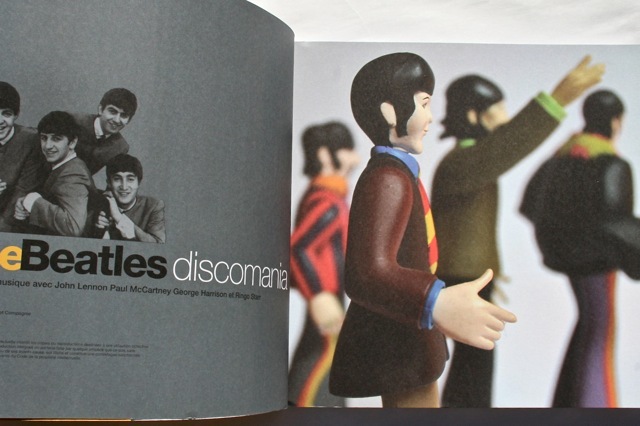 The book is a large format, soft-back which has been stylishly and sensibly laid out. It was published by JBz & Co in France in 2011. The book is full of information on all the recordings released by the group as well as the solo releases of each band member. There are sections on Apple Records, George Martin, etc. 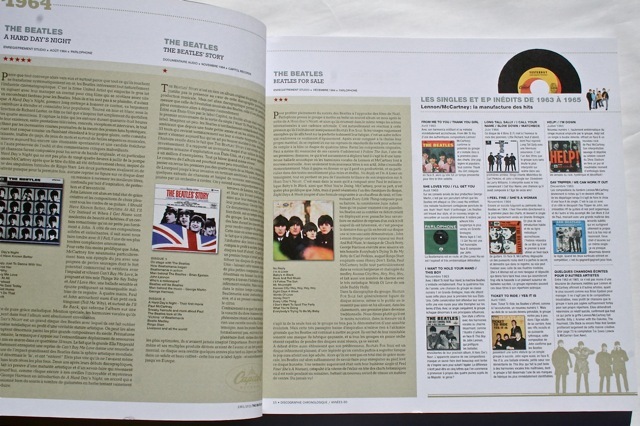 This is a true guide to the complete musical output of the Beatles, a carefully laid out goldmine of information. Bring on the English translation! 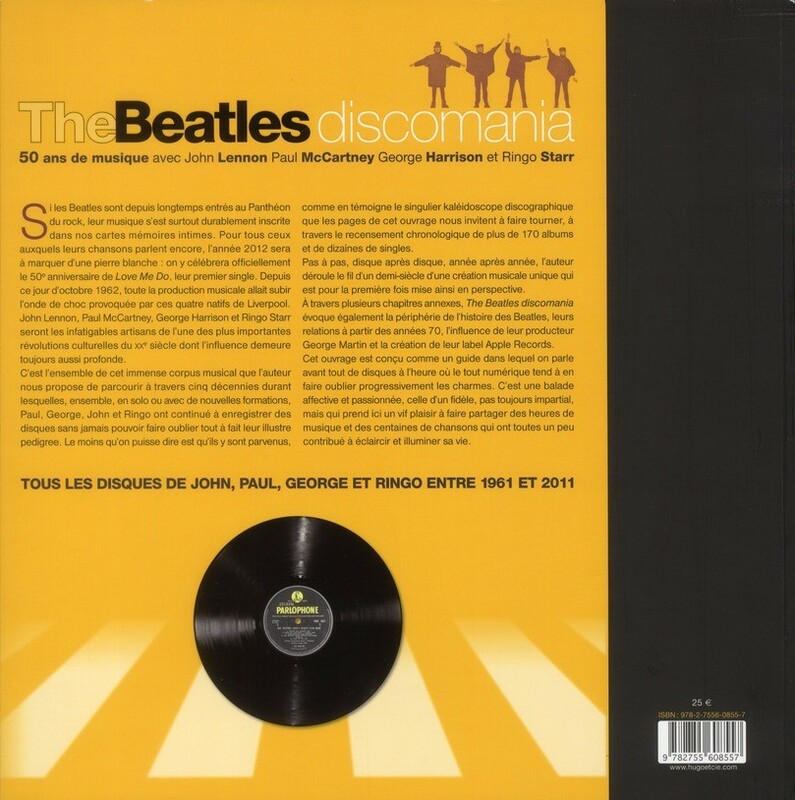 If you speak French (and we have some followers of the Beatles Blog in France) then you might be interested in these two interviews with author Francois Plassat about his amazing book “The Beatles Discomania”. 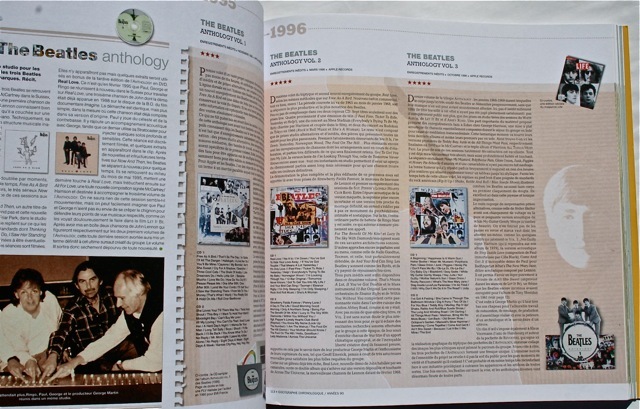 This entry was posted in Apple Records, Beatles, Beatles Books, Beatles Collecting, Beatles Music, George Harrison, George Martin, John Lennon, Paul McCartney, Rare Beatles, Ringo Starr and tagged Apple Records, Beatles, Beatles Books, Beatles Collecting, George Harrison, John Lennon, Music, Paul McCartney, Ringo Starr by beatlesblogger. Bookmark the permalink. I met François late March for a beatles event in Bergerac (France, Dordogne) where we present our own books. His books are great with a lot of informations. A big job. Hi Claude, You would be very aware of the amount of work involved in writing and preparing such a book as you have done it yourself. 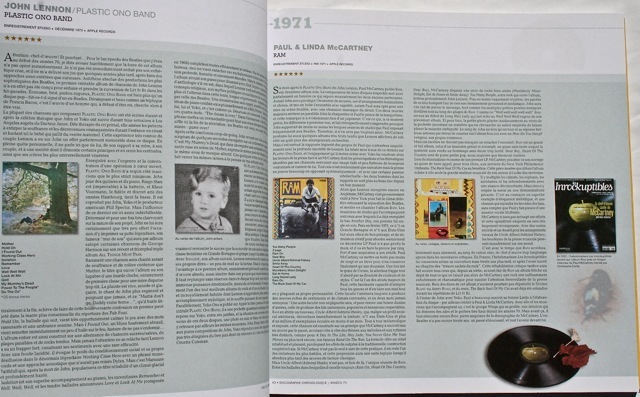 (see: https://beatlesblogger.com/2012/07/12/beatles-with-records-part-eleven/). Thanks for this feedback. First of all, I apologize in advance for the poverty of my written English. But I am French and my usual language is not English. In the course of all these years, we thus amassed many records. In France, we can easily distinguish records released during the period when the group existed and records released after the separation of the group. A great book written by Jean-Claude Hocquet and Eric Krasker exists and takes care of the first one of these 2 periods. But nobody had still treated the second, nevertheless longer in the time. Hervé and I thus decided to treat it. We needed 6 working years to finish a first volume (singles and extended play). In the first one, we listed all the records which exist. We made the pictures of all these records : sleeves (front and rear) and labels of each side. The book contains more than a thousand pictures. Then, we grouped them by type or by collection. We then passed in the writing of the texts with care in the layout. This last step required 3 years of the 6 of the entire project. The purpose was to produce a PDF which we could put hand to a printer for the manufacturing of the book. It was not a full-time work because Hervé and I have each a job. We thus made this work at our time of leisure. A friend designed the cover. And the book was available to be put on sale in April, 2011. We work at present on the volume 2 (Long Play records) and we hope to release it at the beginning of year 2014.